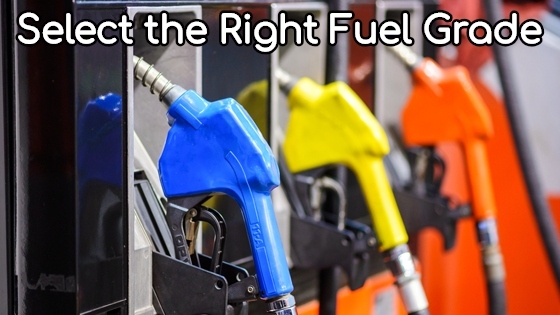 87, 89, 91 … What's the difference in fuel grades? When you pull into a gas station, you use the same ‘level’ of gas each time. Have you ever wondered why there’s so many to choose from? Have you ever wondered what it all meant? Well, a young gentlemen tweeted me, asking this very question. And after speaking to one of my service writers here at McCarthy Chevrolet, I decided to share what I learned with everyone. The different numbers represent different levels of octane. Eighty seven is the lowest octane level and it goes up from there — 87, 88, 89, 91, 93 being the most common. So, what does that mean? Well, 87 will burn slower than a 91. But 91 will be hotter, creating more of a combustion, which causes the motor to run faster — even better. Here’s how Scott Bremer explained it to me: Take a normal piece of paper and light it on fire. It will burn at a slow rate (like an 87). Take flash paper and light it on fire. It will burn at a much faster rate (like a 91). Ah! So is the higher octane worth the price? Well, high performance vehicles will specify a higher octane level. Just look in your owner’s manual or ask your salesperson. But, if you’re driving an everyday vehicle, it really doesn’t matter all that much which fuel you choose. Do you fill up with regular or premium? Can you feel a difference in performance?